We have a new article available discussing the theory of Euhemerism and how it might be able to help us relate ancient descriptions of weapons with their modern counterparts. Being part of ancient stories passed down generation to generation, many of the ancient weapons do not have distinguished scientific proof although some of the concepts do exist today with different (more modern) descriptions. The article is available under the site's Mystic section, or directly linked at: Ancient Mythology. 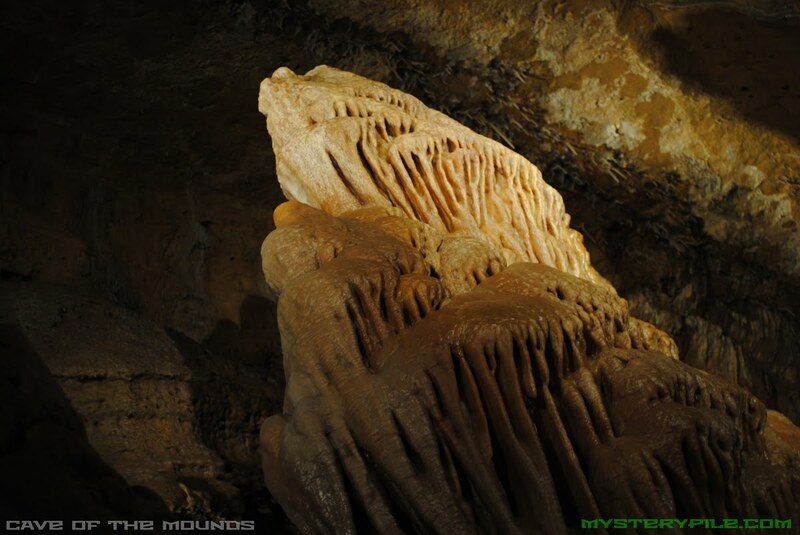 Natural wonders and ancient mysteries such as the Cave of the Mounds give insight into the great processes at work below the Earth's surface. This beautiful national natural landmark located near Blue Mounds, Wisconsin and open for tours all year round. If you happen to be in the area, its highly recommended to stop by for a quick tour, especially when climbing through the depths of Earth is a fun thing for you! Keep in mind if you're going to be shooting photographs, be prepared for taking quick photos in very low light conditions. If the tour group you're with is larger, you will need to photograph quickly. The tour guides try to accommodate everyone, but when the group is larger, those stuck near the end of the group may end up with accent lighting shut off in the middle of photos. Try to be one of the first few in the group to give yourself more time and preparation for photographs. Tripods are not allowed although there are several safety railings throughout lit areas which can be used as a makeshift substitute. Also, keep an eye out for your electronic equipment and the aptly named, Cave of Kisses. Stalactites and stalagmites are still forming in the cave and the drips often hit unexpectedly in the dark. Mysterypile is steadily adding video content to research articles when available and permission is granted. We're looking for video resources which provide an alternative viewpoint and a different angle of approach for ancient mysteries subjects, please let contact us if you'd like to help out.